On Sept. 19, Bellator brings the third show of season 11 to Fresno, Calif., at the Save Mart Center. 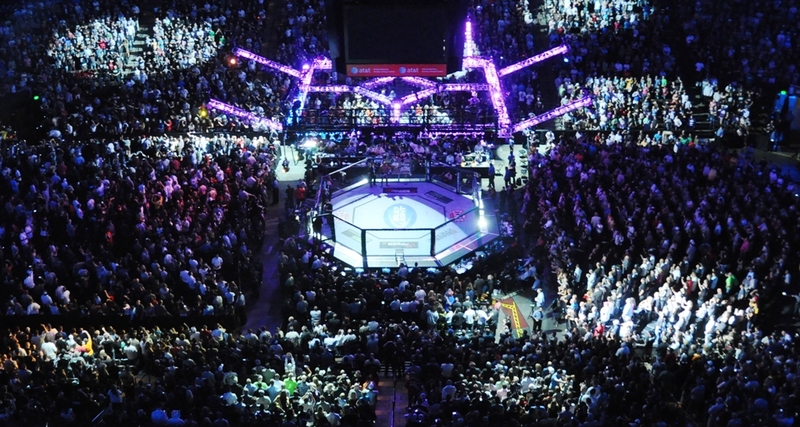 Bellator 125 is a four-fight main card with two middleweight fights headlining the lineup. 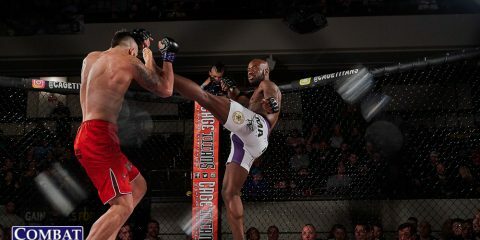 In the main event, Doug Marshall returns to action under the Bellator banner and will meet newcomer Melvin Manhoef. Manhoef has made appearances in ONE FC, DREAM and Strikeforce and will be making the switch from kickboxing back to MMA. In the co-main event, Bellator veteran Brian Rogers faces another promotional newcomer in Rafael Carvalho. 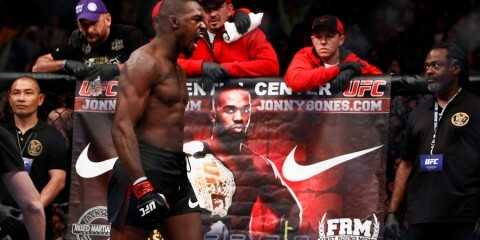 Thanks to injuries, Carvalho will be stepping up on 10 days’ notice to take on the knockout artist, Rogers. 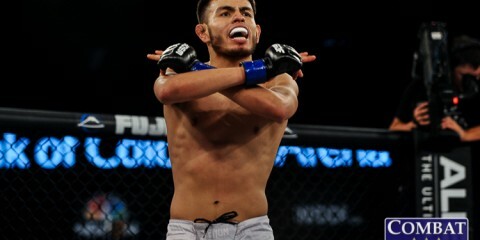 A featherweight battle between Goiti Yamauchi and Martin Stapleton will also be on the main card, with a heavyweight battle between Javy Ayala and Raphael Butler rounding out the lineup. As always, the preliminary card will stream live on Spike.com starting at 7 p.m. ET. The main card airs on Spike starting at 9 p.m. ET. Melvin Manhoef will make his Bellator debut against Doug Marshall, who is coming off a loss to middleweight champion Alexander Shlemenko. Manhoef has been bouncing back and forth between MMA and kickboxing. He currently has three fights scheduled over the next three months across both sports. Manhoef’s strength obviously comes in his striking. He is a very skilled kickboxer who has amassed 26 knockouts in MMA and another 27 in kickboxing. He is 3-2 in his last five fights. 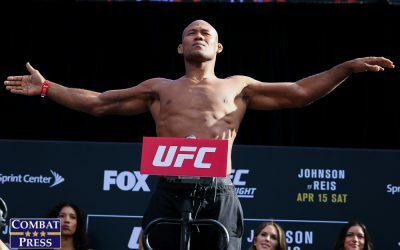 The 38-year-old made quick work of Evangelista Santos with a knockout in his last MMA bout in April. Manhoef is going to want to keep this standing to retain his big advantage. His kickboxing gives him a mighty big edge, especially considering Marshall’s six knockout losses. 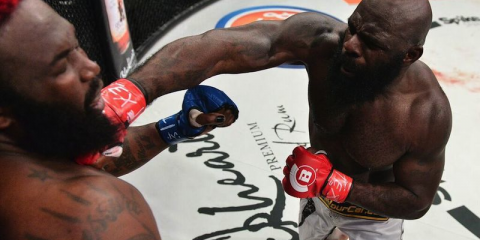 Despite his advantage, Manhoef will want to stay away from making this a brawl and instead utilize his three-and-a-half-inch reach advantage to avoid Marshall’s power, which is responsible for ending three fights in Bellator, including two in the season-eight Bellator middleweight tournament. Marshall will need to make this dirty and avoid the clinch to keep away from Manhoef’s knees. The 37-year-old needs to land that one big punch, and he needs to find a way through the reach disadvantage to make this fight a brawl. Marshall has a chance here to spoil Manhoef’s debut, but the skill and reach advantage of Manhoef will allow the kickboxer to win out over a brawling game plan. Manhoef by TKO in the first round. Bellator veteran Brian Rogers welcomes Rafael Carvalho to the promotion. Carvalho comes stateside for the first time in his career. The fight comes together after previous fighters were unable to compete. On Sept. 9, Carvalho stepped up to replace Brett Cooper. We know what we’re going to get from Rogers in this fight. He’s a power puncher with nine knockouts on his resume. 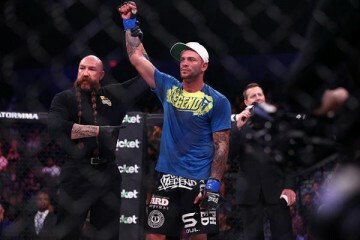 Rogers is coming off a knockout victory over Adrian Miles at Bellator 119 where he scored the finish with a flying knee. The knockout snapped a two-fight skid for Rogers. 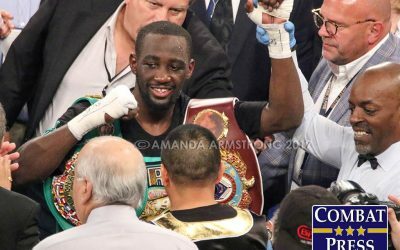 He is going to want to keep this fight standing and attempt to knock out Carvalho. Carvalho owns eight TKO victories in his career and hasn’t lost since his debut back in December 2011. Much like Rogers, Carvalho has the knockout power to end a fight. He defeated his last two opponents in similar fashion with knees to the body and punches. I like Rogers in this fight due to his previous experiences in Bellator. That will be the difference. 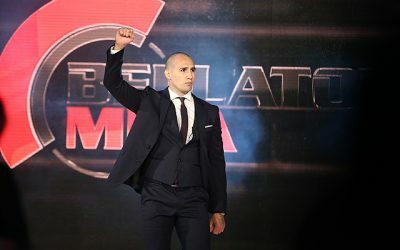 Both guys can score knockouts, but Rogers, having more fights and a number of appearances in the Bellator cage, will be more comfortable, especially in a short-notice fight. Rogers by TKO in the second round. Martin Stapleton makes his return to Bellator against grappler Goiti Yamauchi. Stapleton is coming off a win in June in which he was able to submit Stanislav Enchev. 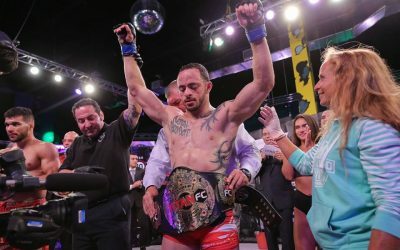 That snapped a previous two-fight losing streak from Stapleton that saw the 31-year-old falter in the Bellator lightweight tournament quarterfinals and then drop a unanimous decision to Derek Campos. Stapleton’s quarterfinal loss was to Saad Awad in a fight where he didn’t have an answer for his opponent’s grappling. That doesn’t bode well for a man set to enter the cage against a grappler like Yamauchi. 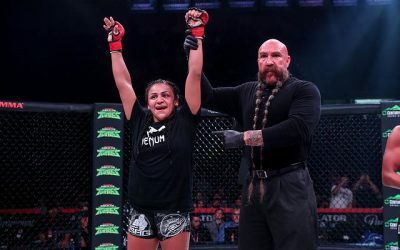 Stapleton, who possesses four submission victories, is supposed to be a grappler, but that Awad fight raises some concerns that can’t be dismissed. At 21 years old, Yamauchi may be young, but he already owns 13 submission victories. 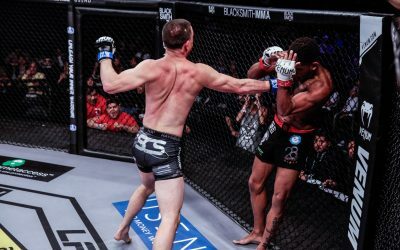 The grappler is 3-1 under the Bellator banner and can certainly add to that record by taking the fight to the ground and getting yet another victory via rear-naked choke (he already owns nine such victories). It’ll be interesting to see how this contest plays out, but I see Yamauchi landing the first takedown in the fight and then out-grappling Stapleton. Eventually, Yamauchi will either get his hooks in and take the back, sinking in another rear-naked choke for the victory, or he will grapple his way to a decision. To open the main card, Javy Ayala will take on former boxer Raphael Butler, who thus far remains undefeated in his MMA career. Given Butler’s past experience as a boxer, we know what to expect from him in this fight. 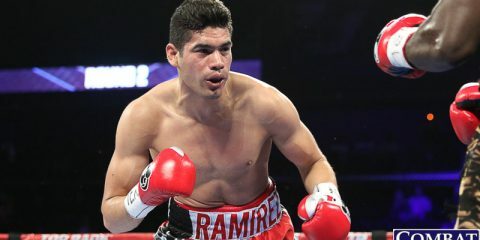 Striking is going to be a key for the 30-year-old, who owns five knockouts and two submission victories due to punches. Butler is a good prospect and certainly has the power to end any fight. His game plan is simple: keep the fight on the feet and utilize his boxing and power to score another knockout. That will be easier said than done against Ayala, who is riding a two-fight winning streak. Ayala beat two Bellator tournament veterans, Thiago Santos and Eric Prindle, knocking out both guys. Prindle is another fighter who is a good boxer with power, much like Butler, so that fight can be viewed as a good indicator of what will happen when Ayala locks horns with Butler. Prindle isn’t at the level of Butler in terms of boxing skills, but Ayala was able to handle Prindle and score the TKO. Butler’s going to control the cage better and utilize his two-inch reach advantage to perfection to avoid meeting a similar fate. 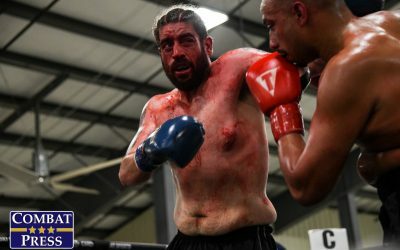 I like Butler as a heavyweight prospect, and I like him to score another knockout here in the second round.